The following threats need YOUR IMMEDIATE ATTENTION. Given the perception of the success of “WannaCry” ransomware attack, hackers spreading malicious code seem to have become emboldened. One of the largest malware campaigns have been reported by Check Point researchers. 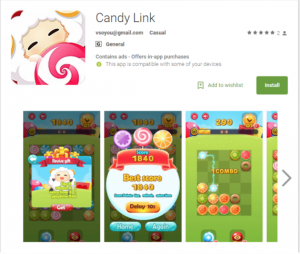 Google Play, Google’s official app store, has been penetrated by the malware dubbed “Judy”, an auto-clicking adware which was found on 41 apps developed by a Korean company. The malware uses infected devices to generate large amounts of fraudulent clicks on advertisements, generating revenues for the perpetrators behind it. The malicious apps reached an astonishing spread between 4.5 million and 18.5 million downloads. Another threat, BANKBOT, was rediscovered on May 30th. This malware focuses on the Android banking malware in Google. Its ploy is to first gain the trust of the user through initial “normal” activity, such as video play, or a gaming session. Even a fake Facebook profile to pretend to be an actual company aided in this process. For example, Malicious activities are postponed for a couple of minutes so users can first use the app to open funny videos or watch the latest news.